LA County Fair and $1 opening weekend specials. The LA County Fair is opening its doors this weekend. That is only three days away! . This year the fair will be open from September 4th to October 3rd. 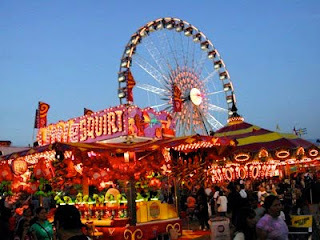 If you didn’t have the opportunity to catch the Orange County fair, you definitely want to pay a visit. Make sure to take advantage of the fair’s opening weekend (Sat Sep 4th to Mon Sep 6th) $1 special promotions. Admission will be $1 from 10 am to 1pm. Drinks will be $1 from 1pm to 4 pm. Carnival rides, select food and beverages in the carnival area will be $1 from 4pm to 7pm. To learn more about the fair and other promotions head here. This entry was posted in Discount Coupon LA County Fair, Fairplex Pomona, LA County Fair, LA County Fair 2010. I know it’s a little early, but I wanted to make sure to post with plenty of time. Plan accordingly to make sure to save a date for some time in October. The San Diego Zoo and San Diego Wild Animal Park will be offering free admission to kids 11 and under during the entire month of October. In my opinion it is one of the absolute best times to visit. The weather is cooler and the crowds are much lighter than in the summer. To learn more about the free admission head over here. Make sure to take advantage of this Great deal! 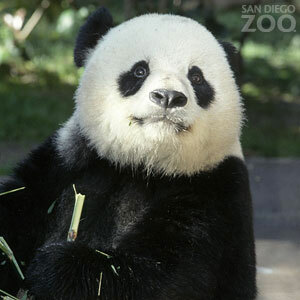 This entry was posted in Free Admission in Octobe to San Diego Zoo, Free Admission in October to San Diego Wild Animal Park, Free Admission to San Diego Wild Animal Park, Free Admission to San Diego Zoo. I consider myself a little savvy when it comes to local travel and adventuring. I like to think that I have a natural instinct for discovering new adventures or places of interest that are fun and are either free or inexpensive. On our road trip earlier this month, I was on a quest to find fun and inexpensive things to do with my family in the Central Coast. One of my absolutely favorite places in California is hands down Morro Bay. It’s hard not to fall in love with this quaint coastal town. The people are friendly, the scenery breathtaking and there are many fun and inexpensive outings to partake in. 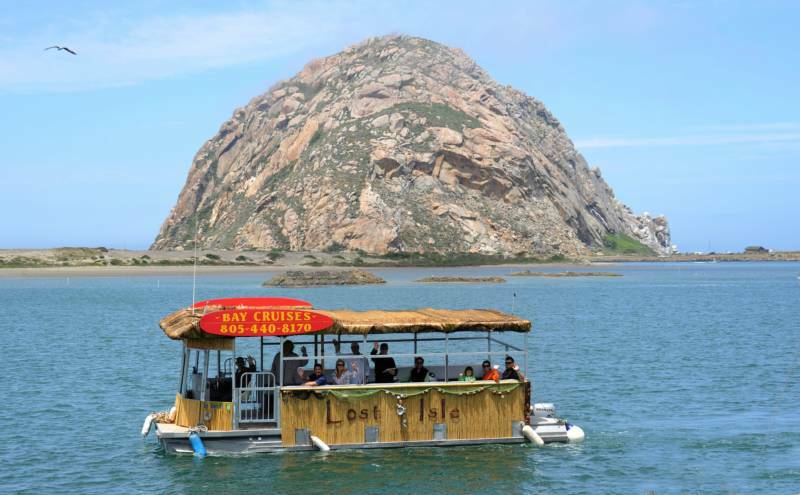 One of our favorite experiences in Morro Bay was our nautical adventures aboard a very cute tiki boat. Lost Isle Adventures is a must on your next visit. I was looking for something to do with the kiddos and found an ad for this fun little cruise and we just had to check it out. Our guide was friendly and made the kiddos feel so special. 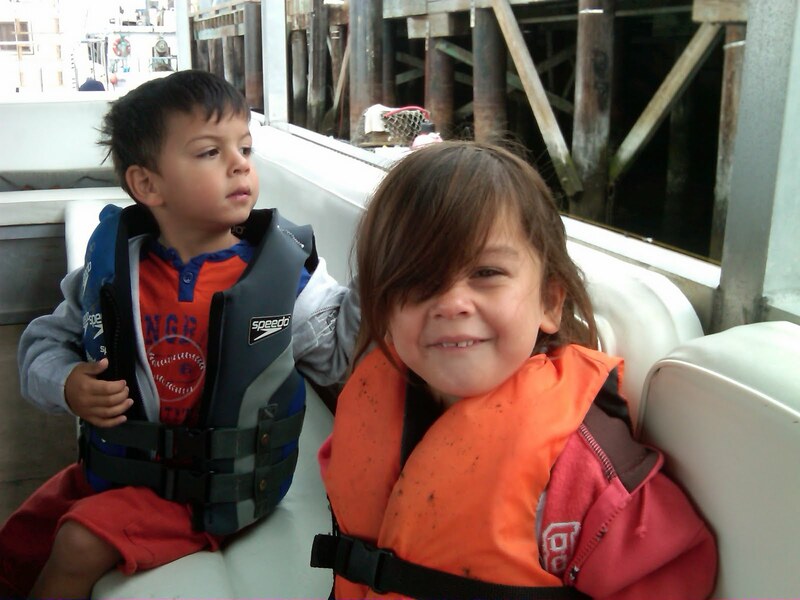 He provided us with binoculars and off we went on our adventure at sea. 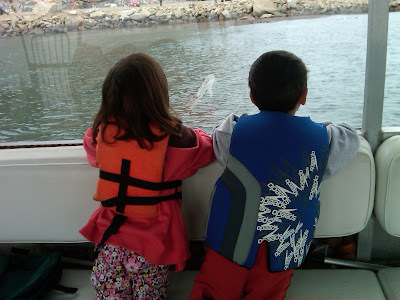 Our first few minutes were spent admiring Morro Rock and coasting near the big fishing boats. We loved learning about the types of fish that are caught and how the fishermen live. We then headed along the estuary to the sea otter sanctuary. This was the definite highlight of the excursion. We were able to enjoy watching about a half dozen sea otters play and eat in their protected zone. We were also able to watch dozens of seals frolicking in the water. Next on our tour was a stop at Sandles Cove, a sand-spit that is perfect place to explore. Here you can pack a picnic and be dropped off with the family for a fun adventure. You can explore the area and be picked up in an hour or two. 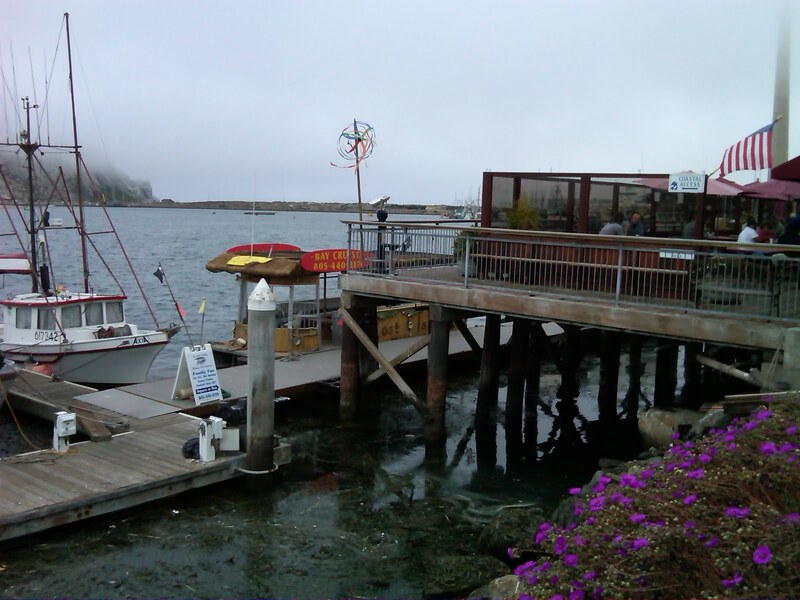 We finished up the tour of the bay with a close up look of the marina and of course Morro Rock. The kiddos were able to explore the captains treasure chest and take home a souvenir. The kiddos had a blast and I can’t wait to experience it again on our next trip. Our family had a great time and I know your family will too! Tours leave hourly starting at 11 AM – 6 PM every day. Sunset Tours are at 7:00 pm Friday, Saturday, & Sunday. You can bring your drinks & a meal on board for a special treat. 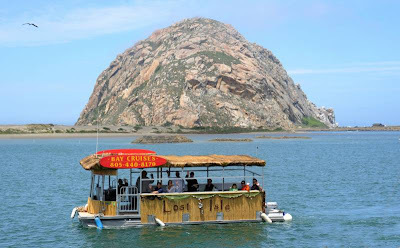 This entry was posted in Harbor Cruise Morro Bay, Lost Isle tours, Morro Bay, Morro Bay Tours, Things to do in Morro Bay.